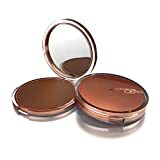 Melanie Mills Hollywood Gleam Body Radiance All In One Makeup, Moisturizer & Glow For Face & Body - Bronze Gold, 1 fl.oz. BENEFITS: Wrinkle Filler and skin tightener, makes skin look like velvet perfection. Highlights, creates a subtle glow, enhances natural skin tone, a tan that lasts all night. 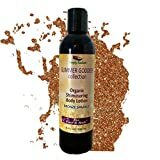 Perfect for spray tans to enhance and even out skin. Diminishes flaws like varicose veins, small stretch marks and discoloration. Cellulite diffuser. BRONZE GOLD: Instantly gives skin a natural-looking sheen with subtle golden hues. A truly luxurious bronze glow. MOISTURIZING BODY MAKEUP: Natural oils, botanicals and a hydrating marine extract to enhance the elasticity, texture and vibrancy of skin. Transfer resistant, will not streak or stain the skin. 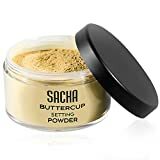 Face - beautiful as a primer or mix with foundation. NATURAL INGREDIENTS: Green Tea Extract, white Green Tea extract, Vitamin E, Aloe Vera, Jojoba Oil, Safflower Oil, Olive oil, Kalpariane and Brown Seaweed Extract. QUALITY: Paraben-free, sulfate-free, gluten-free, vegan and animal cruelty-free. Dermatologically tested. 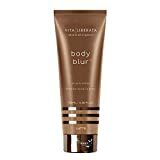 Vita Liberata Body Blur Instant HD Skin Finish, 3.38 fl. oz.